Whenever there is a three-day weekend, chances are we are heading off into the backcountry the first chance we get. But as holiday weekends tend to draw larger crowds, destination options are a bit more limited unless reservations have been made far, far in advance. 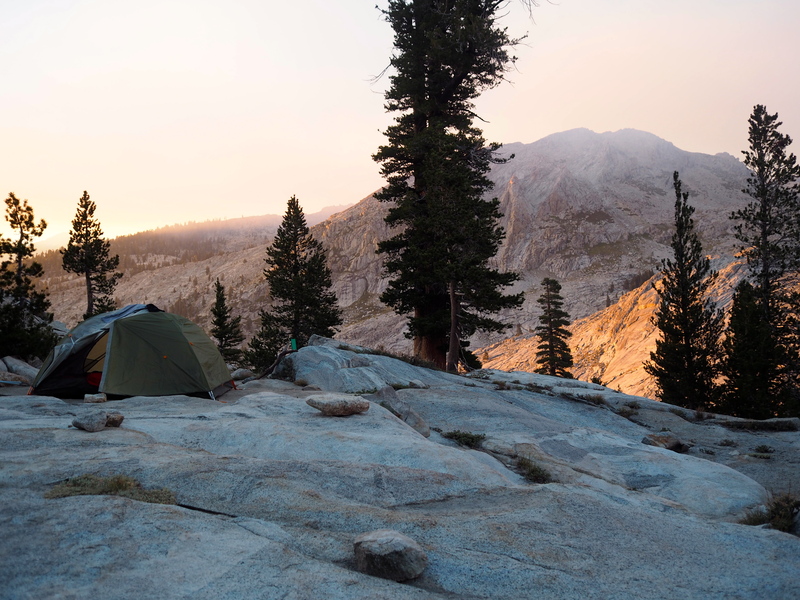 Since Labor Day Weekend is a perfect example of this, we decided to avoid any sites that required advanced reservations and head to Pear Lake in Sequoia National Park. Located equidistant between San Francisco and Los Angeles, this is a great meeting place if your friend group is spread out throughout the state of California. This was exactly the case for us. While Sequoia is not quite as popular as it’s neighbor, Yosemite, the park can still draw large crowds clamoring to see the largest tree in the world (the General Sherman Tree) and the vast redwood groves. 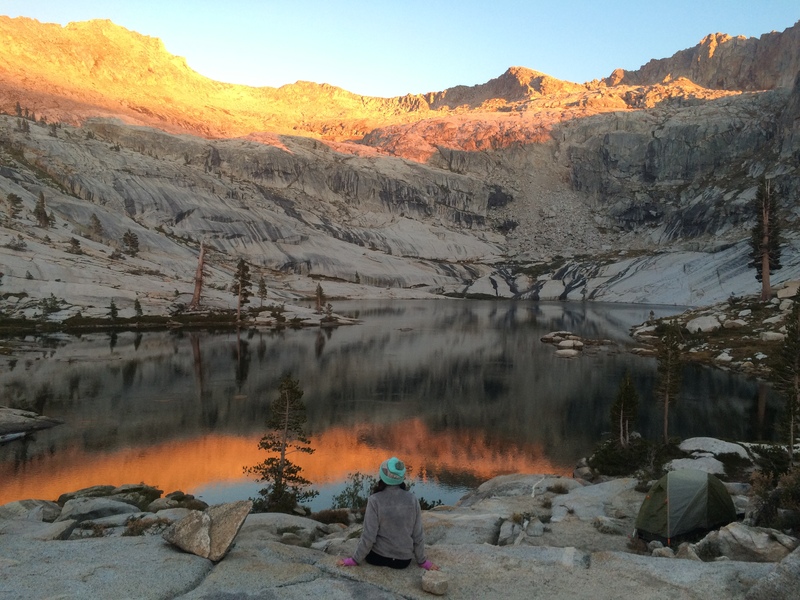 This means that there are quite a few people also wanting to venture into the wilderness, so to preserve its natural state, there are a limited number of permits allocated for Pear Lake. We were grateful that one member in our group who was able head over the day before our trip to secure five permits in advance. It turns out we got the last five permits, so if you plan to visit Pear Lake in the future, plan accordingly! Let me tell you, the planning was well worth it. 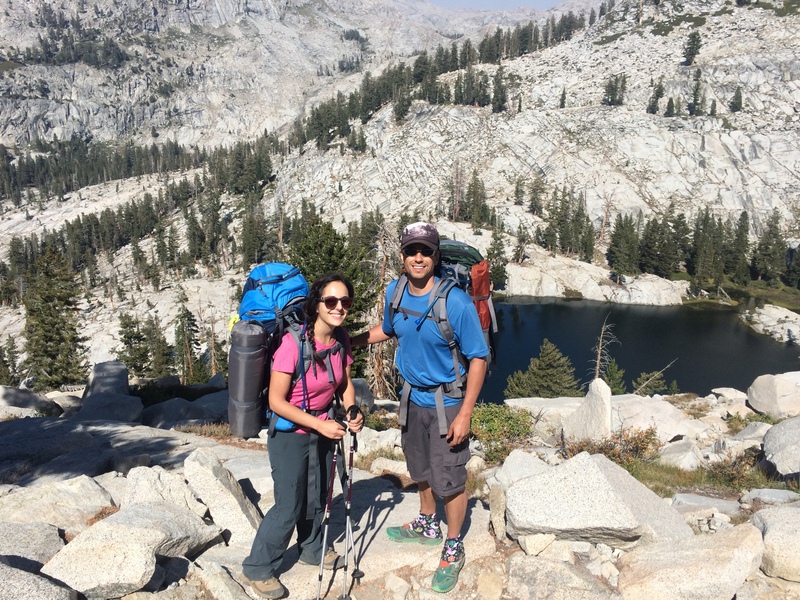 The 6-mile hike to our camping site was not as brutal as our 30-mile loop in Yosemite, but because of the quick climb in elevation, it was quite difficult as we neared 9,000 feet. Luckily, the exquisite panoramic views provided excellent motivation for pushing through. As if the hike’s views weren’t enough, our campsite might have been the most beautiful place I have ever slept. The sites are assigned once you get there, and are fairly close to one another, yet can easily fit 3-4 tents without being on top of each other. We secured a prime site directly on Pear Lake, and was the perfect size as we were able to spread out and still have a central (and flat!) “kitchen” area in the middle. We made an excellent decision to stay put at our beautiful site for two nights, with a full day to explore the area sans-packs. On the second day, some of our group spent the day relaxing and hiking around the lake. As is typical in the Sierras, the water in Pear Lake is icy cold, yet feels super refreshing for sore muscles. 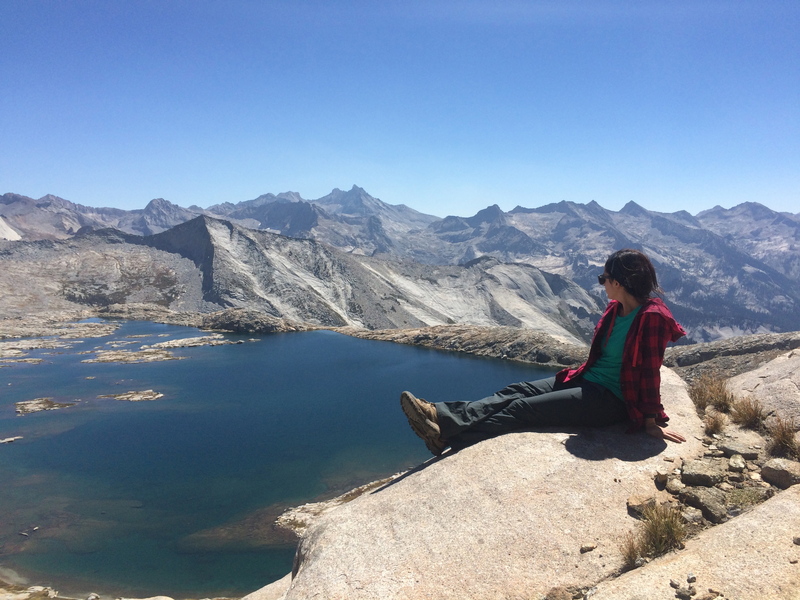 A few of us ventured off the beaten path to find Mouse Lake, a quest that involved no actual trail and relied solely on the guidance of previous visitors and our (hopefully accurate) sense of direction. I’ve never scrambled up so many rocks before, but once we finally reached Moose Lake, we were rewarded with this view. Overall, this was one of the best backpacking trips I have ever been on, and I don’t have much advice on what we would have done differently except to BRING SUNSCREEN! You should always lather up, but the cooler temperatures are deceiving and you might underestimate the intensity of the sun’s rays at such a high elevation. I did, and ended up looking like a red raccoon the next day. But other than that, it was quite the successful end of summer soiree!